Having grown up in Washington County, Oregon, I left for graduate school and a long career on the East Coast and in Japan. 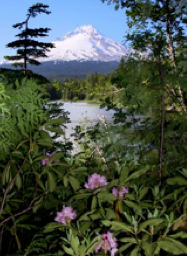 I retired in January 2009 to Wilsonville, Oregon, a lively and livable town of 25,000 tucked into the southwest corner of Clackamas County growing into the southeast corner of Washington County. Located where Interstate 5 crosses the Willamette River, Wilsonville is the northern gateway to the Willamette Valley, equally convenient to the Oregon Coast and the Cascades, and to Washington and California. Graduating from Pacific University in Philosophy with a strong minor in organ, I attended graduate school at Harvard, Brandeis, Massachusetts Institute of Technology, and Rhode Island School of Design, before settling in Philadelphia for twenty-two years teaching undergraduate and graduate courses at The University of the Arts. After taking a doctorate in Curriculum, Instruction, and Technology at Temple University, I put my photography career on hold to spend a dozen years teaching English, Information Technology, Art History, and Aesthetics at Miyazaki International College in Japan. MIC awarded me the rank of Professor Emeritus upon my retirement and return to Oregon. Intellectual foliage grown in my wide-ranging graduate studies and NEH summers were grafted onto a solid trunk rooted at Pacific University in Forest Grove, Oregon, during what I am sure were my alma mater’s golden years of humanistic education--the era of Gertrude Boyd Crane, Levering Reynolds Jr., John Vloyantes, Russell Roberts, John Davies, Claire Argow, Anna Berliner, Irving Story, Richard Eilbott, and other giants whose campus presence marked me indelibly, even if, as was the case with the last three, I was not privileged to sit in their classes. I have remained a supporter of the University as an alumnus over these many years. After returning to Oregon I served as an editorial advisor and a member of the Advisory Board of Pacific's Berglund Center for Internet Studies until it was absorbed into the University's new College of Business. I still return to campus for the annual Music in May festival founded by my father in 1948, which brings together talented high school band, orchestra, and choral musicians for a long weekend of practice and performance. I have always been an Oregonian at heart. The magnificence of the land and the fundamental decency of its people set a standard that has not been surpassed in any other place I have lived. Since settling in Wilsonville, I have become an enthusiastic booster of our city, serving as Chair of the Planning Commission, a member of the Wilsonville Arts and Culture Council, and various task forces relating to the city's development. These roles and many ad hoc opportunities for citizen involvement in community affairs confirm my appreciation of the high quality of our city's governance and livability that attracted us to live here. Taught aesthetics of environment at MIC and graduate seminars in philosophy of art at The University of the Arts. Special interests in metaphor, mental models, and machine-human interface. B.A. in Philosophy, Pacific University. NEH Summer Institute on Science, Technology, and Society with Carl Mitchum and Leonard Waks at Pennsylvania State University, NEH Summer Seminar on Artificial Intelligence with Hubert Dreyfus at UC-Berkeley. Photoshop professional. Technical editor, Webmaster and IT instructor at Miyazaki International College. Conference presenter on website legibility and interface design. Studied computer science at Drexel University. Longstanding interest in Chinese History and Culture. Traveled widely and photographed intensively in multiple visits between 1980 and 1990. Artist-in-Residence at Tianjin Fine Arts Institute. NEH Summer Seminar on Contemporary Chinese Art and Culture with Chu-tsing Li at University of Kansas.